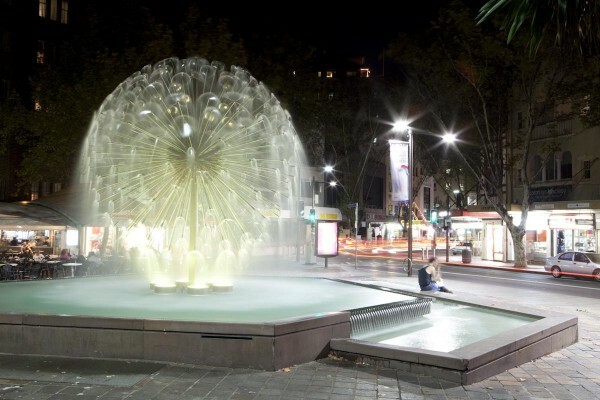 The Yurong Water Garden is an environmental artwork by Anita Glesta, sited in Cook and Phillip Park in Sydney’s CBD. 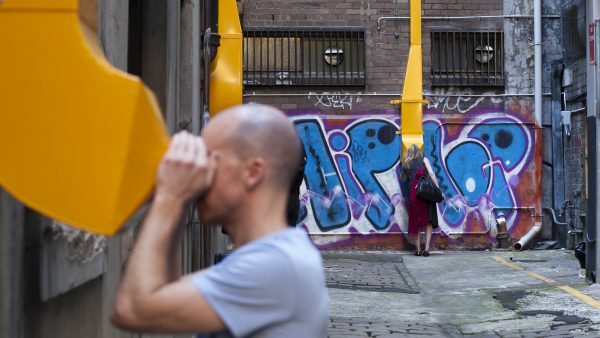 It is inspired by Yurong Creek, which ran from this area to Woolloomooloo more than a century ago. The artwork follows the course of the original creek. Yurong Water Garden is created using water and sandstone, both natural to the area. 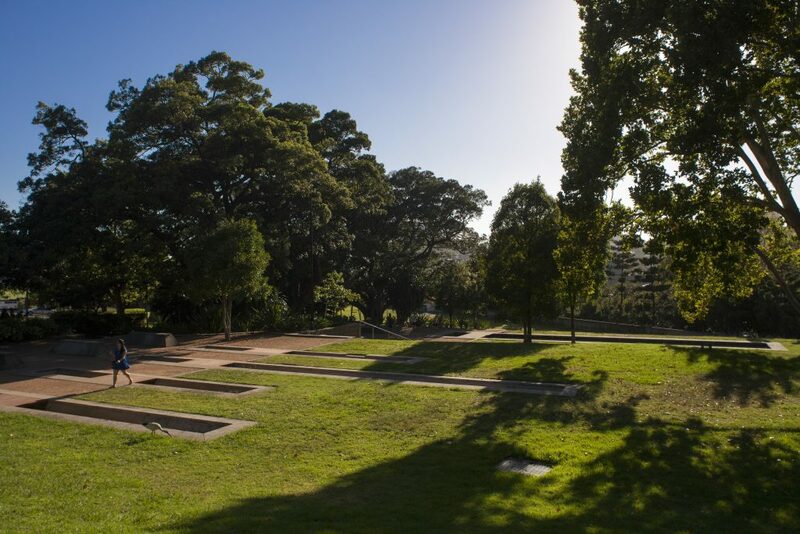 The water channel is formed from large, rough-hewn sandstone blocks and recycled pavers – the original foundation stones of the park. The simplicity and scale of the artwork has been designed to work in balance with the detail and grandeur of St Mary’s Cathedral, which sits above the gardens. 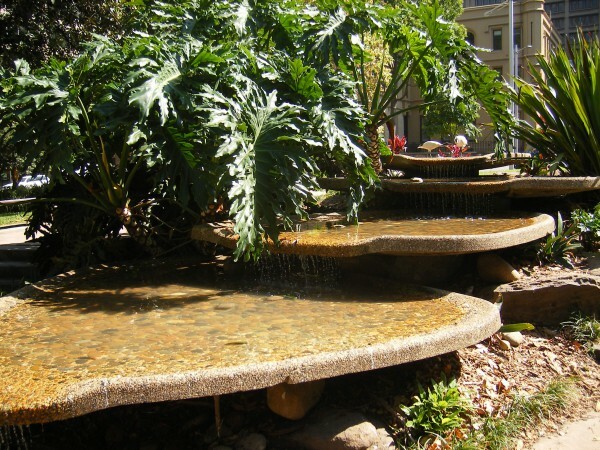 The watercourse runs through three levels of landscaped gardens. Each terrace features a cluster of rocks in shapes and forms that echo and repeat from level to level. On the highest level, the source fountain seeps from hidden pipes through small holes in the rocks and drips into the channel below. It is carried down to the second level and flows through a series of sunken troughs, where hydraulics stir the water into waves. On the final level, the water empties through an underground pipe into a reflection pool. Glesta designed the Yurong Water Garden to be interactive. The rocks are in human scale and have been deliberately placed to encourage visitors to use them for sitting, climbing and rest. 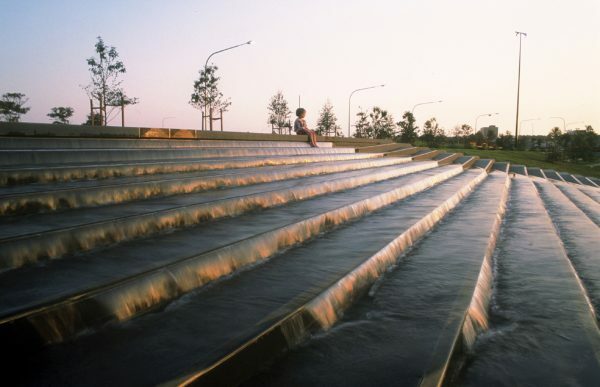 Yurong Water Garden was commissioned as part of a major redevelopment of Cook and Phillip Park and was completed in July 1999. 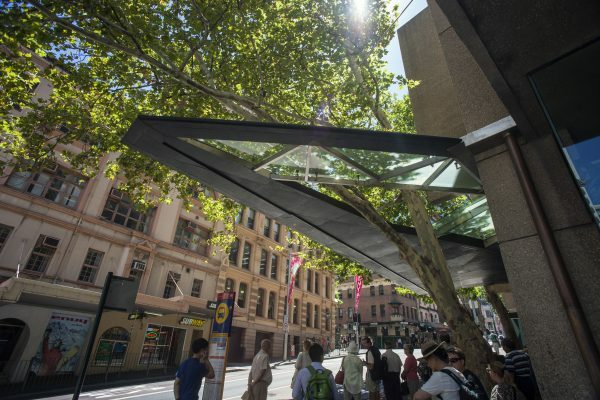 It was created in collaboration with Elizabeth Mossop of Spackman & Mossop Landscape Architects, who integrated the installation into the overall landscape design. Anita Glesta studied at the Museum of Fine Arts in Boston. Before moving to Sydney in 1994, she exhibited her work in galleries and museums in New York. 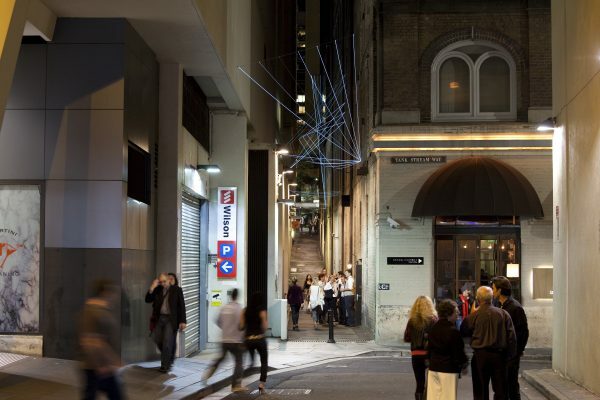 During her time in Australia, she taught at the Sydney College of the Arts and the University of New South Wales and showed her work at various venues throughout Sydney. 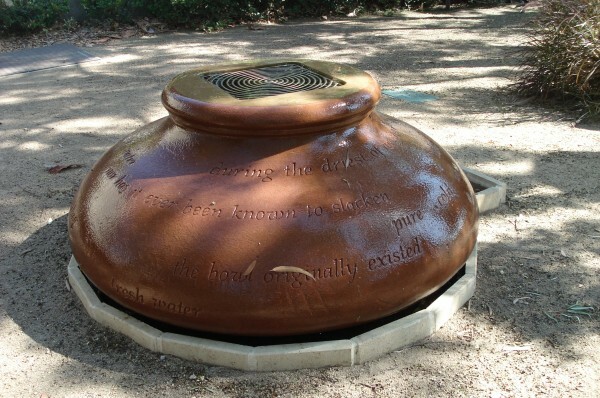 Glesta created and installed several out-door sculptures in parks throughout Sydney. 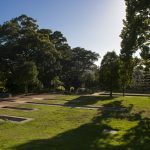 In addition to Yurong Water Garden, her public commissions include City of Sydney projects for Wynyard and Lang Parks and sculptures for the Mt Annan Botanic Gardens and Rushcutters Bay.